In Paris in the 1920’s it should be a hive of the most talented artist to ever put paint to easel. But when The Doctor (Sylvester McCoy), Ace (Sophie Aldred) & Hex (Phillip Olivier) arrive they find artist fleeing in their droves. Irish Wildthyme (Katy Manning) is also on the scene and seems involved in the artists finding Paris a hostile environment. 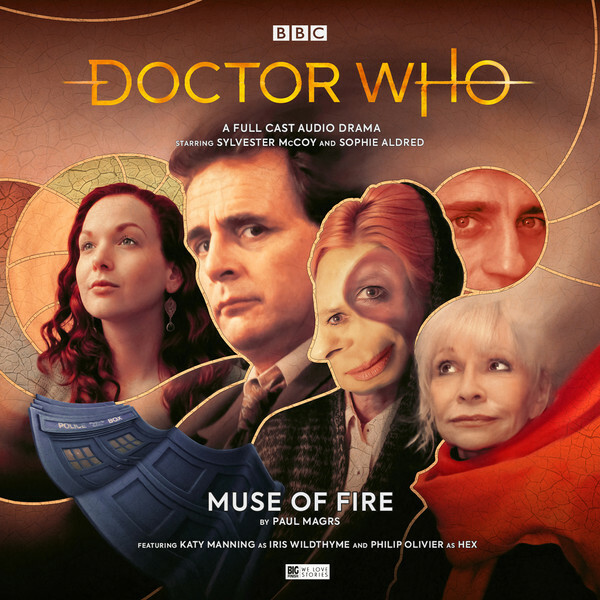 Can the Doctor’s old friend really be responsible for unmaking an artistic revolution? It goes without saying how wonderful it is to have Katy Manning back as Iris Wildthyme. It is even better however that we get some lovely depth and nuance to this amazingly bombastic and larger than life character. To have her sparring with McCoy’s Doctor, with Hex being a questioning presence to Ace’s ever loyal to the Doctor is all perfectly balanced and acted by the Tardis team. It’s a nice story and a great concept to have such a hot bed of creativity being the nexus point for time to be taken off track as opposed to an invention or the moon landing or similar. It celebrates that human accomplishment can just be some beautiful and inspiring art. I enjoyed the story by Paul Magrs a great deal. It also, save one reference to Picasso, doesn’t take the credit for the the art and puts it in the hands of an alien. The interference in history comes from taking from our history; not that the aliens somehow created our greatest works. This tale also does what the McCoy era did very well by taking a serious setting and using it to good effect but also throwing in some fantastical elements such as a panda art critic (David Benson) and a literal Muse (Christine Kavanagh). Well paced direction throughout is provided by Jamie Anderson and the music to this adventure fits the tone of the piece perfectly. I give this work of art 9/10.